GM Canada’s president says "there isn’t anything to build" after 2019 at the company's Oshawa plant as the automaker bets big on electric and autonomous vehicles. There will be new GM jobs in Ontario, he says — just not on that long-running assembly line. GM Canada's president says "there isn't anything to build" after 2019 at the company's Oshawa plant as the automaker bets big on electric and autonomous vehicles. There will be new GM jobs in Ontario, he says — just not on that long-running assembly line. Travis Hester, an Australian, was just eight months into his new job as president of the automaker's Canadian operation when he had to defend a change that will thrust 2,500 employees out of work and change a city that has been churning out vehicles for GM for decades. "No, no," he said in an exclusive interview, his first since the closure announcement last week. The decision to close the facility, which he said was made in Detroit, came down late this fall. "There's not going to be any discussions with General Motors about what this orderly wind down looks like as it will be anything but orderly," Unifor President Jerry Dias said last Friday. The auto executive says he's made it "very clear" to both Ontario Premier Doug Ford and Prime Minister Trudeau that "we don't have any allocation" for a vehicle at the Oshawa plant going forward. "So it's very difficult to have a discussion on anything beyond December 2019 because there isn't anything to build," said Hester as he toured CBC News through GM's new technology centre in Markham, north of Toronto. As GM cuts thousands of manufacturing jobs in Canada, it's hiring software engineers and coders to help develop its vehicles of the future. The company wants to transform operations to focus on electric and autonomous vehicles and Hester said Canada has a place at the core of that development. GM opened a new Canadian Technology Centre (CTC) last January and has hired 450 employees, with plans for 500 more by 2020, many coming straight out of Canadian universities. "We're adding jobs and we're adding development expertise and all the associated things that go with that into Canada, where it just simply wasn't in the past," Hester said. He said the high-tech centre in Markham will keep growing, pulling in talent here and around the world. "We see the future very strong here and in Canada for the development side." 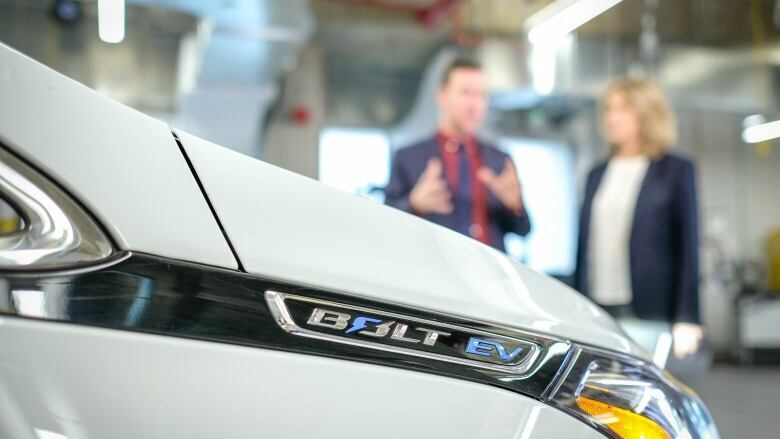 Whether it's regulatory requirements or consumer-driven change, he said GM believes "battery-electric vehicles will be the vehicles of the future." That vision is likely cold comfort to the Oshawa plant workers, who won't get a crack at engineering electric cars. GM Canada has said it will help retrain some workers from the Oshawa plant for other work such as auto technician jobs in GM dealerships. "What's happening now in Oshawa is very tough," Hester said. "So as much as we are transforming the future we're still paying a lot of attention to what we've got." GM's CEO Mary Barra, meanwhile, is under increasing pressure in the U.S., where thousands more manufacturing jobs will be lost. Barra has faced pressure from many — including the U.S. president — to reverse course, particularly on the plant slated to close in Ohio. She's agreed to meet Wednesday in Washington with some senators who are strongly urging her to reconsider the plan. "We've seen that document, and we don't believe the document states we can't do that," Hester said Monday, refusing to elaborate on the details in advance of discussions with the union. 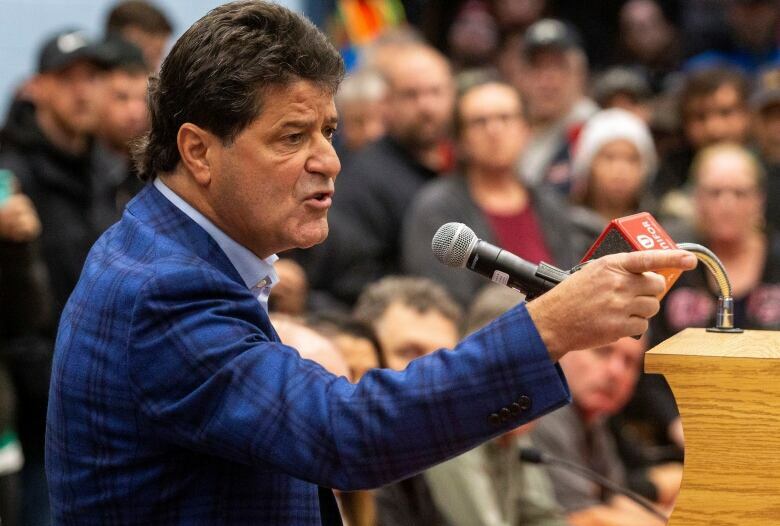 Unifor's president said late last week that he thinks the company is trying to turn the dial away from the anger that followed the news of the Oshawa closure. "They thought they would pacify the Canadian public by opening up the tech sector and then there would have been minimum noise at shut down," Dias said on Friday. "When they were opening the tech centre we said, 'This is a wonderful initiative but don't think that somehow this is going to replace their place of manufacturing jobs in Oshawa.' And so that's exactly how this thing came down." "So these are going to be unchanged and continuing for the immediate future," said Hester. GM's future in Canada will be a mix, he said, of growth in new technology and software development, along with existing manufacturing. But all this will go forward without Oshawa's flexible assembly plant, which was built in a way that allows it to be retooled. Hester said the company doesn't have enough volume to fill all the plants as demand for sedans falls. "I don't think you could put anything else in Oshawa," he said. "Not without spending incredible amounts of investment, which would make it not viable."